Listening fatigue is something we’ve all experienced. You sit down to listen to your favorite piece of music. You start to really jam out. The lead singer or lead guitar goes for a solo and it hits you. Your ears start to tell you that something is wrong. Sometimes it only lasts for a split second or only on certain notes. In some cases whole songs become bright and flat-out unlistenable. It’s listening fatigue. The only solution is to turn the volume down. Why does this happen? Too often we blame the speakers or the room with statements like, “these speakers are too bright for me” or “I must have a ‘bad’ room.” The real culprit is speaker setup. And we can prove it. Start by playing any track that has high notes or sections of brightness that give you that urge to leap for the volume knob and turn things down. Once you have that section playing at a decent volume level, try holding a conversation with somebody else in the room and notice how much you will have to strain and talk over the music that is playing, not to mention the general discomfort of the sound coming from the speakers. Most people have experienced this feeling before. Now for the magic trick: unplug one of the speakers. You will notice instantly that the awful brightness has left the room. You probably won’t feel that urge to reach for the volume control either. Even at higher levels. Try that same conversation again. Way less tension in the room this time, right? The secret lies in how we hear. We hear all things in mono. Our stereo speaker system is comprised of 2 speakers (obviously). If they aren’t working EXACTLY perfect and in sync with each other across their entire audio spectrum then our ear will hear 2 distinctly different sounds. Just like 2 people trying to talk to you at the same time. This type of sound registers in most people’s brains as extremely irritating. So how do you solve this problem for your own system? Go back to mono recordings? Of course not! Stereo is an amazing invention that just requires a bit of care in the setup, but like most things, the devil is in the details. All you have to do is get your speakers EXACTLY perfect and in sync with each other across their entire audio spectrum. But how? There are all sorts of methods out there that claim to solve the issue of listening fatigue and on how to properly position speakers. And we will save the specifics of speaker placement and system setup for a different article. The point of this article is to emphasize the importance of speaker setup and to emphasize that you may not actually need to replace your “insert random product here” or do construction on your “bad” room. Here at Soundings we specialize in and highly recommend our own variety of the MASTER SET process. 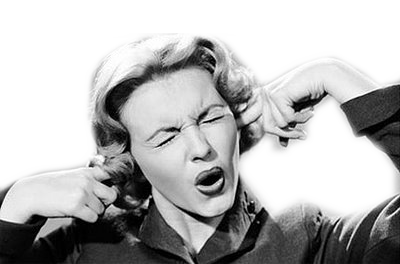 In our experience, it solves the issue of listening fatigue almost universally. Stay tuned for more details on how to improve your own speaker placement.